Repairs to multiple piston disc brakes are not without a few risks. Anyone not working on these with the right tools will quickly find themselves in a pool of health and environmentally hazardous brake fluid. 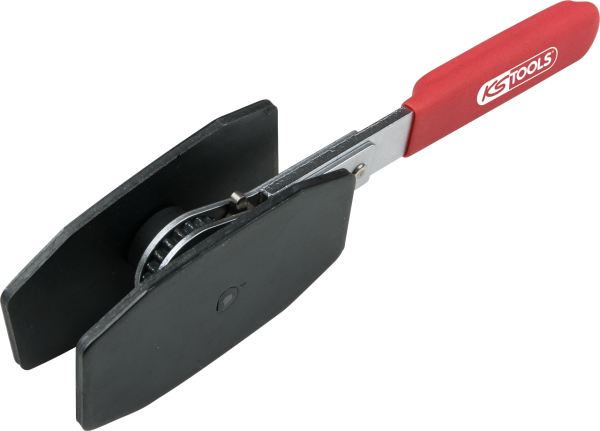 KS Tools now has a reversible ratchet brake piston resetting tool in their product range with which the workshop professional can carry out these repairs without any brake fluid escaping and without damaging the seals or piston ways. This is the only way to manage expert and damage-free repairs without problems. The tool is suitable both for passenger cars with large disc brakes as well as SUV, off-road and utility vehicles. The KS Tools product number is 150.2194. Disc brake repairs are an everyday thing for all workshops. The screwdriver or lever method often helps in pushing back the brake pistons. But whoever uses this method cannot exert central pressure. The use of a screwdriver often enough leads to damage to the seals or the piston way. 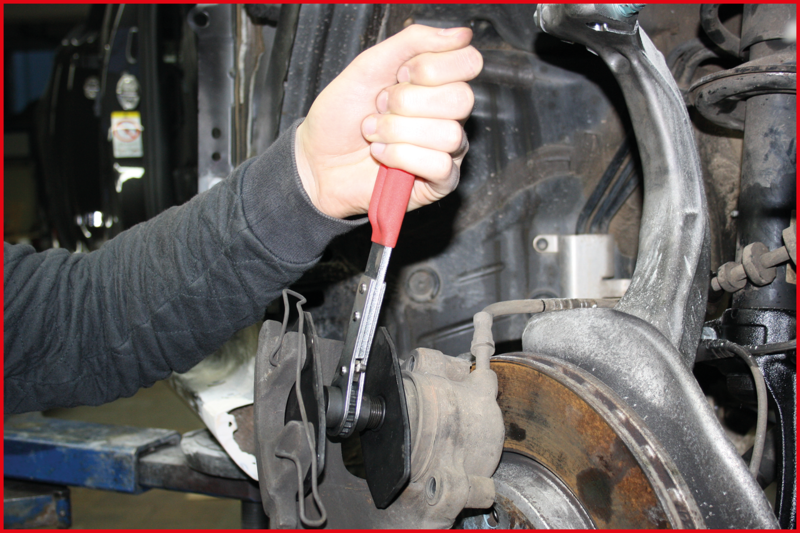 The ratchet brake piston resetting tool presses the piston safely and evenly back into the brake calliper. Because the drive sits exactly in the centre of the tool, an even pressure is also built up and the brake piston is prevented from tilting. This is made possible by means of the ratchet mechanism which can be operated with little effort. The ratchet is right /left reversible so that the device can be easily removed from the calliper once the repair has been made. The tool also solves a problem which the mechanic is faced with particularly when working on multiple piston brake callipers. Because it can happen that while one piston is being pushed back, another one is pushed out. In the process, brake fluid can escape uncontrolled which then pollutes the workshop. On top of that, after such a loss of brake fluid, the system has to be bled again. That is not necessary when using the ratchet brake piston resetting tool from KS Tools. Because it always presses several pistons simultaneously. The tool is suitable for use on floating and fixed brake callipers as well as single and multiple piston types. Its area of application ranges from the brakes on passenger cars to SUVs and off-roaders right up to utility vehicles.